← Happy New Year & My First 10k of 2010! It was a long time ago that I started swimming lessons with the intention of becoming a good swimmer. 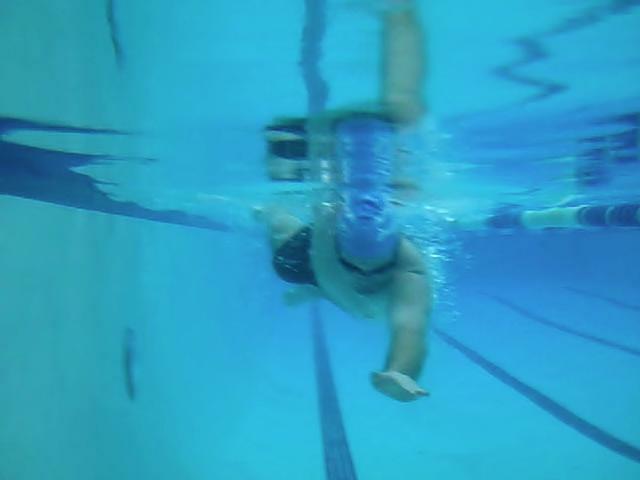 While I fairly quickly picked up side stroke and was able to power through the 2009 triathlon season with it, side stroke became both my savior and my devil. It saved me because I could finally swim, but was my devil since the scissor kick sapped my legs of energy even before I got on the bike. So, the past few years, after working with a coach, attending a Total Immersion swim clinic and persevering through countless frustrating workouts did I manage to arrive at my latest workout, a 35 minute pool workout where I swam 875 yards (0.496 miles, 32 laps!). While I didn’t realize this accomplishment until today, as soon as I did I jumped for joy. Not a fast pace by any means, but that will improve over time! Not exactly perfect form, but it will improve! the head would not stay in the water. Now, it is in the water and rotates with the body! the legs dragged behind. Now, the legs follow streamlined and I can glide on each stroke! power came from my weak arms. Now, my strong arms assist the power from my hips. kicking was how I compensated for lack of balance. Now, kicking is incidental and not part of my main propulsion. I hated the thought of swimming. Now, I look forward to the challenge of making myself a better swimmer! The next big hurdle for me is swimming crawl in the ocean! I can swim side stroke just fine, but I have the phobia about putting my head under the ocean. All I see is green and emerging from the green are sea monsters, sunken ships, and sharks. Maybe I watched JAWS and 20,000 Leagues Under the Sea too many times, but this phobia is real and the next big challenge for me, but I know I can do it! Oh my, what is that strange creature shedding it's skin? Also last year’s wetsuit is way too big for me now. I bought it when I weighed 240 pounds and now I am under 200! I look like a big scary, black and red sea creature coming out of the ocean. Surprised I haven’t been harpooned yet. 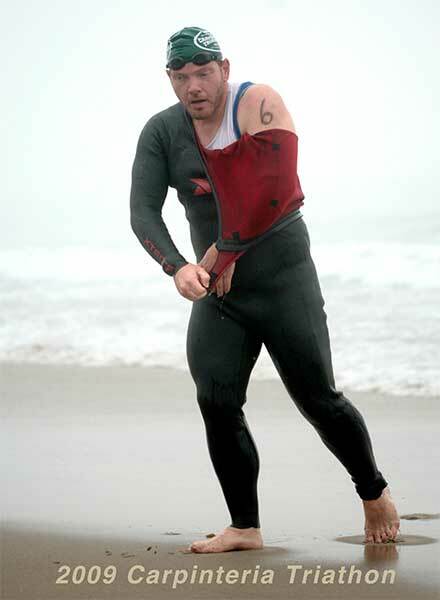 Besides, a proper fitting wetsuit will help reduce drag. I think I will pick up another Xterra Vector Pro X2. Now that I am coming down off my swimming milestone high, I would like to ask you all a question: What was the best moment you have ever had while swimming? While race results are fine, I am thinking more about experiences during the swim. Please leave a comment! This entry was posted in analysis, Fitness, milestones, Swimming, Triathlon, triathlon training, Workout Logs and tagged Carpinteria Triathlon, milestones, Santa Barbara Triathlon, Swimming, triathlon training, workout, Workout_Logs. Bookmark the permalink.